This isn't going to be like sixteen things I learned in sixteen years because I don't want to be limited with the number of stuff I want to talk with you about. Birthdays to some people may present nothing, they don't even celebrate it, just don't want to make a big deal out of the day they were born but to some, like me, it means the day where I'll be surrounded by some people I love, and I may not be hanging out with them every day, and that's where the special thing about birthdays is - you will have a chance to sit and talk, enjoy in your friends' company although it may be only once or twice in a year. It's not about the presents or how big party you throw when it's your birthday - it's how you feel and what you realize that day. This, my sixteenth birthday was really lovely and I enjoyed it, and the most important thing - when I got home that day, I realized some things I didn't before. I may seem to young to think about this but I think every person should think about death at least once in a day,to remind themselves to finish their unfinished business, to forgive people, to respect everyone, to give, to share, to love... What if you don't wake up tomorrow? Would you really want your life to end out like this? You may have fought with someone before, just message them, tell them you're sorry although it wasn't your fault. I'm not saying you should keep hanging out with certain people or date the same and keep forgiving them if they always make a fool from you but if you know the thing they did to you wasn't a big deal, why don't you just try to make things cool between you? We constantly keep waiting for things to come. When it's Monday we are waiting for Friday, when it's winter we are waiting for summer etc. Why don't we just live in the moment? Why is it so hard for us to love and respect each other, to forgive and to be able to open ourselves to at least one person?I learned to keep my demons quiet in order to prevent them taking control of me. Well, that must've sounded so mature but I'm only sixteen... 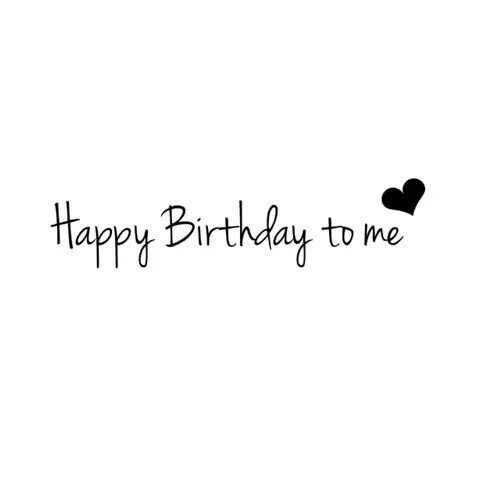 I know I'll go through lot in my unique journey called life and I wish myself happy birthday and happy every single day after it. I will love, care, respect, learn and pray more, and become the best version of myself I can be. I am extremely grateful for what I have and I am more than excited for what I am about to achieve. Here's to make myself proud and to never give up on my dreams! Ps: Within my reply to your comment over on MY blog, I asked whether you have Snapchat. If you do, just head back onto my blog and reply in a comment or I'll just check back here and follow you there. Ajoj predivan post, zaista! Srecan rodjendan draga! Zelim ti mnogo srece i uspeha!